This year is all about knocking books off that ever-growing TBR pile. At least, in theory. It does, however, seem that I’m still NOT doing a very good job because I keep acquiring more books and not reading the books I already own. 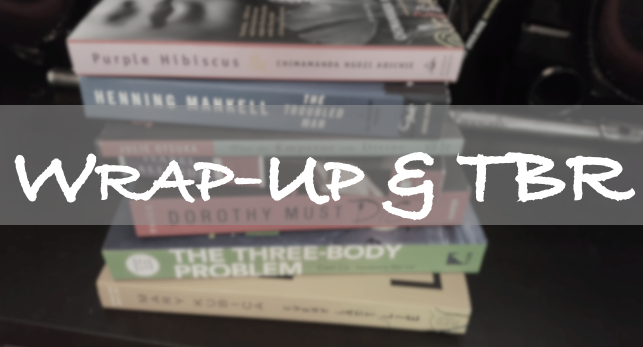 August was all about the readathon to help me get caught up with my reading challenges. Did it work? Let’s see. I’m quite proud of myself for the month of August I only bought . . . Wait for it. Wait for it. That’s right, according to Count von Count and his superior counting skills, I bought 3 books. And truthfully 1 of 3 I may return. That is if the person who checked it out of the library ever decides to return it before my book starts reading it next week. It was due back a week ago and I’ve been on the hold list for almost a month. Anyway, enough of that. And I had the pleasure of winning Circe by Madeline Miller for participating in the 2018 Discussion Challenge. I read Sadie by Courtney Summers for ARC August. Oh my gosh! I said it once, but I think it bears saying it again. YA is killing it! I have read some really good YA in the last year and some odd months. I read Giovanni’s Room by James Baldwin for The Classics Club Spin #18. You can see my list here. I’ve read Baldwin before and have always enjoyed his writing style and storytelling. However, I did not enjoy it. Not even a little bit. I didn’t like any of the characters. I read Furyborn by Claire Legrand for ARC August and I have to say it was just meh. I’m wondering if I read it to soon after Children of Blood and Bone. To be truthful, I felt like I was reading another version of CoB&B, but without being invested in any of the characters. I DNF’d Ahab’s Return, or The Last Voyage by Jeffrey Ford for ARC August. I read about 5 pages and knew that it wasn’t going to end well for me. I typically try to give books at least 25% before I call it quits, but I knew in my heart of hearts this was going to be a snoozefest. And do you see a number theme? If not, I refer you back to Count von Count. Looking forward to your review on Kindred. I’m sad too. Baldwin is one of my favorites. I might give it another go later. I loved Americanah so I hope you enjoy it! Sadie sounds really good. I’ve asked for it on NetGalley. Sadie is really good. I hope you get it. Sadie is one I would definitely like to read! Happy September! It was so good. Recommend it!